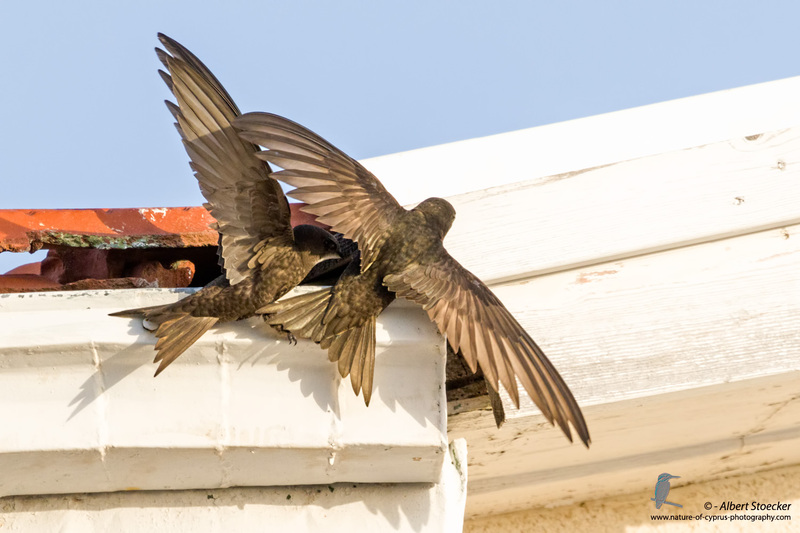 Swifts fascinate and inspire nature lovers and ornithologists from all over the world due to their unique properties. 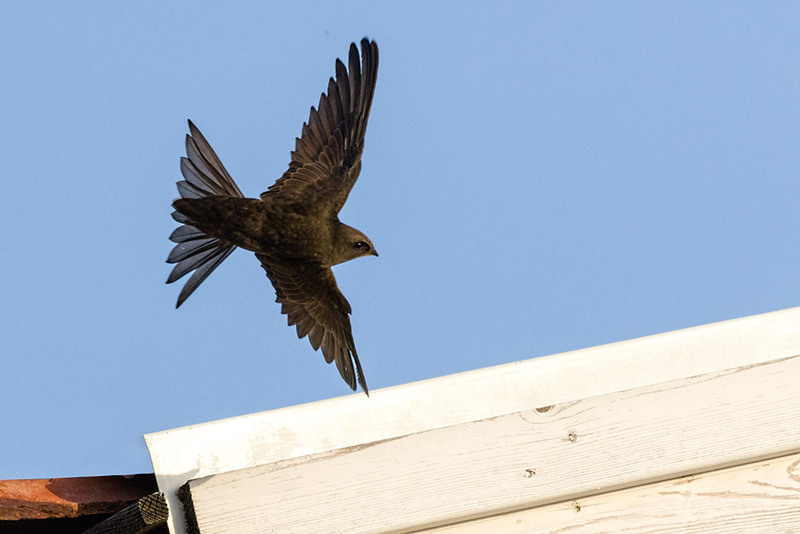 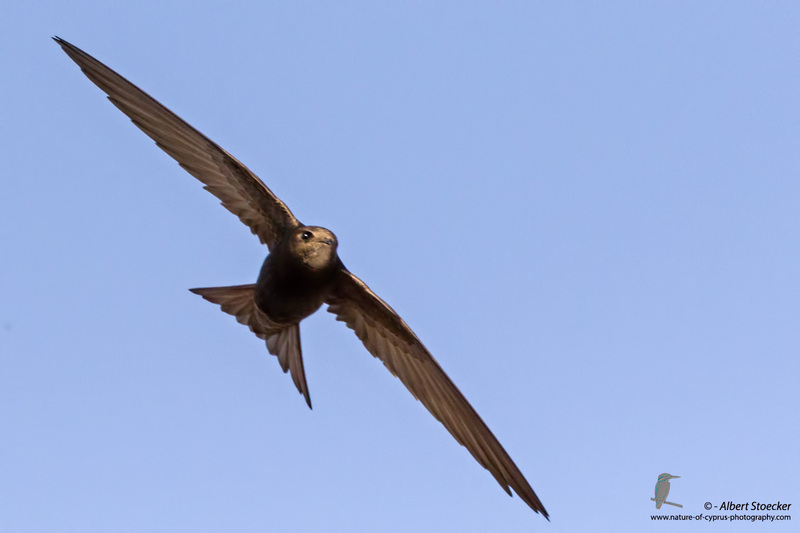 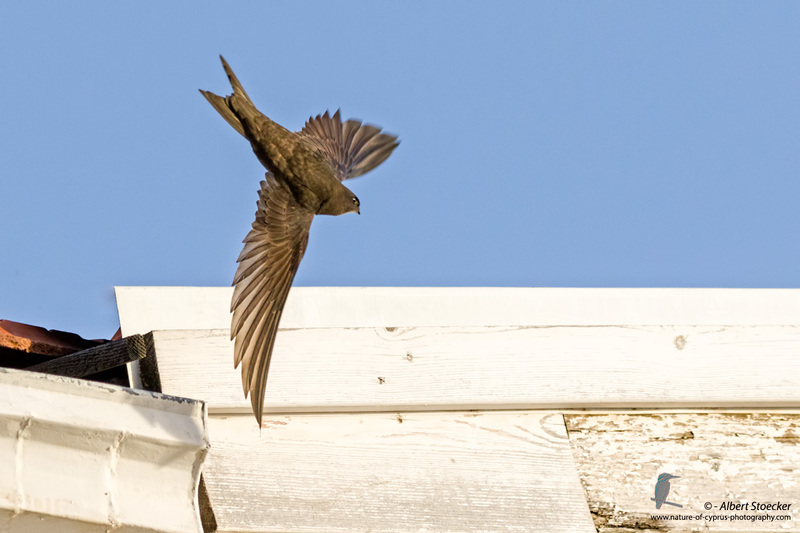 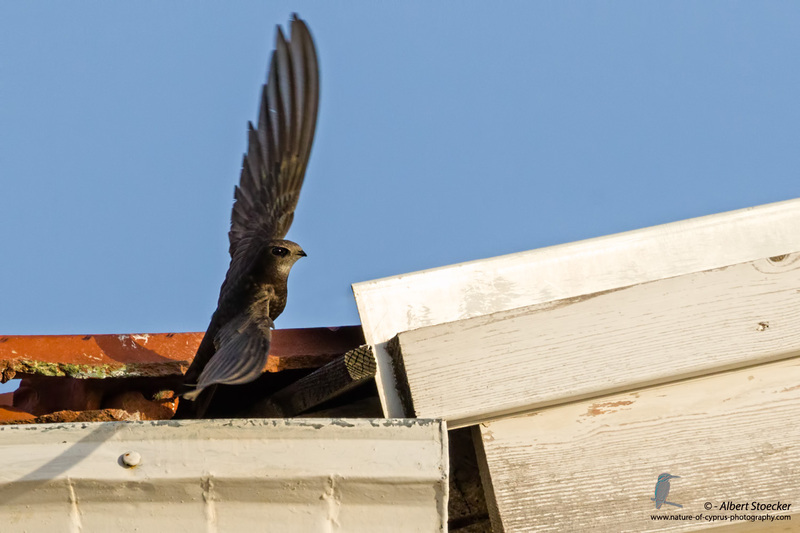 Swifts were born to fly and spend their lives almost exclusively in the air. 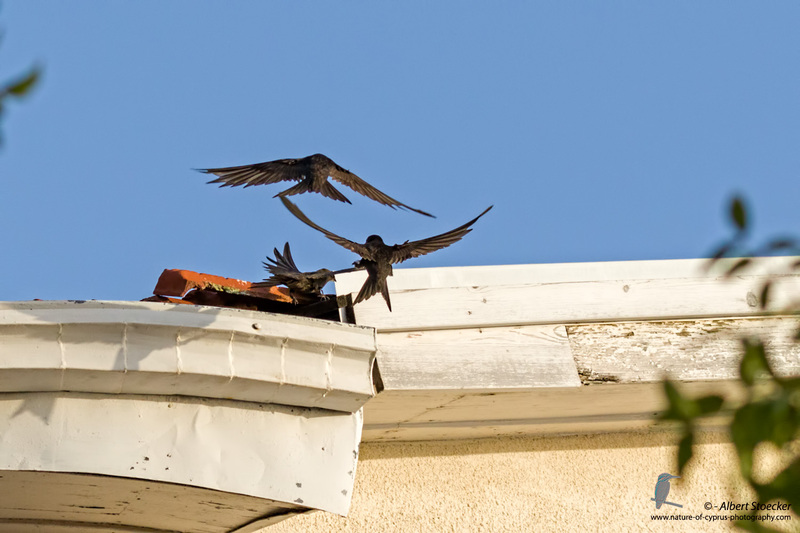 Only when the time comes for the young they come back to their breeding grounds. 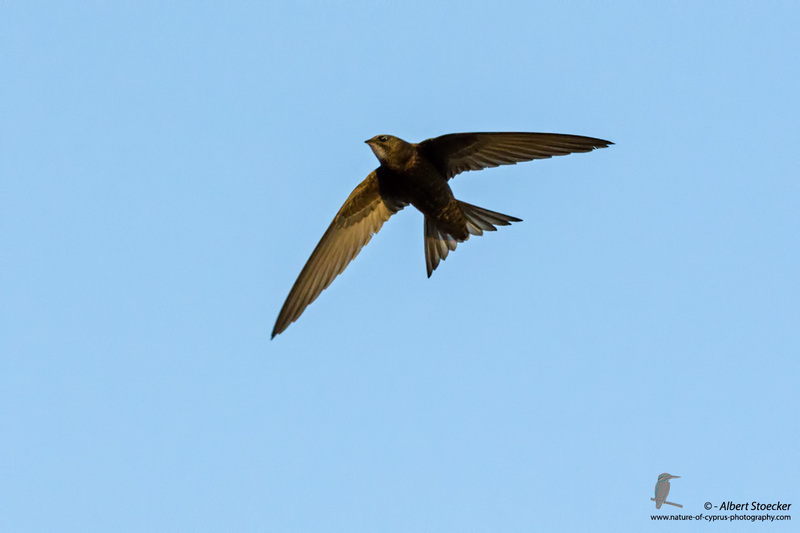 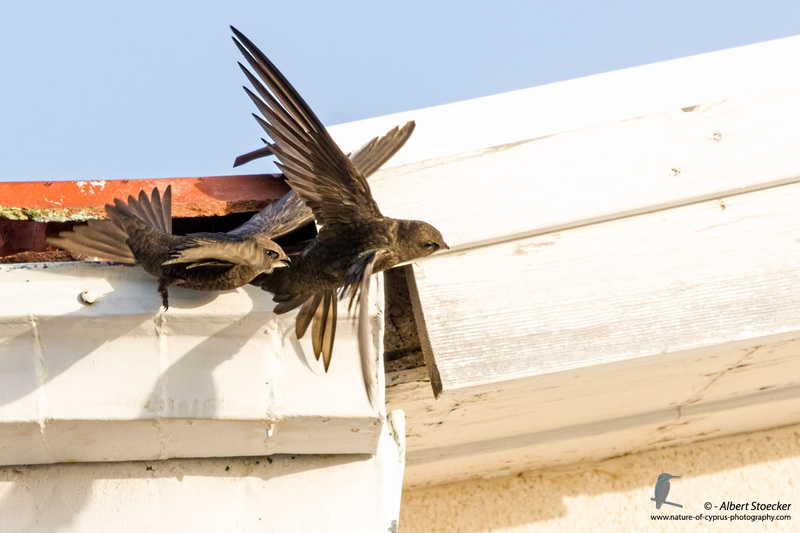 Common Swifts are generally arrive early March in Cyprus. 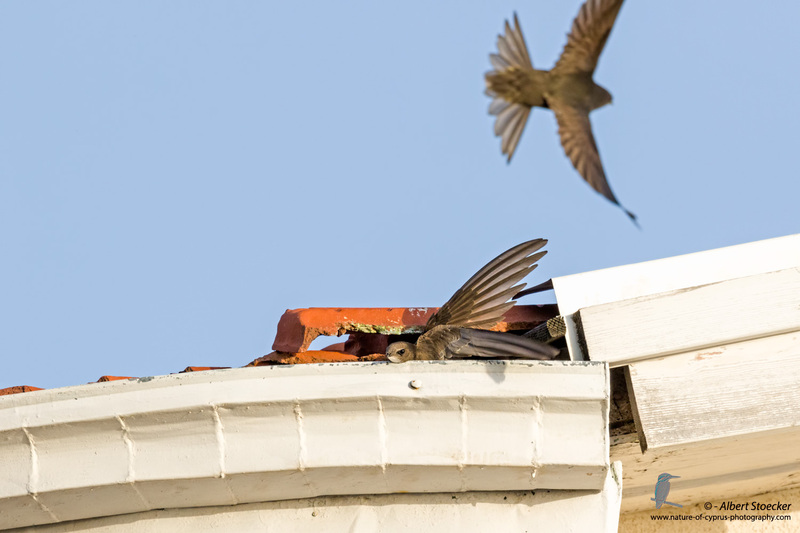 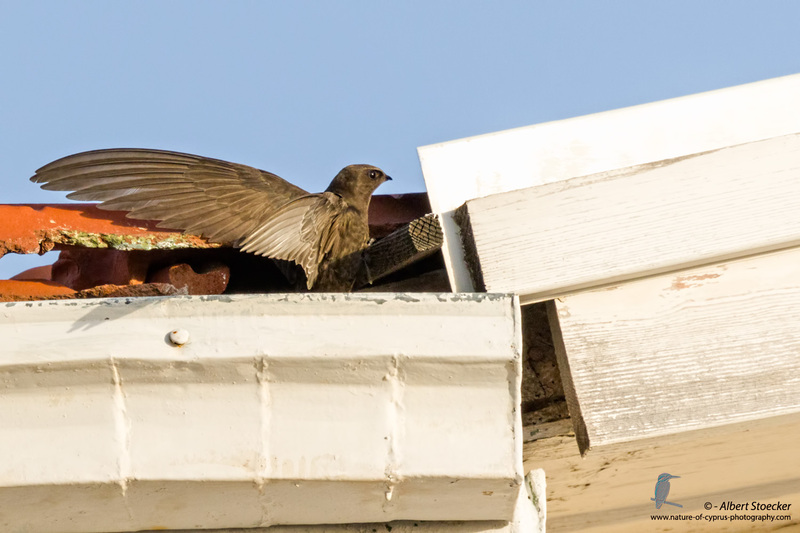 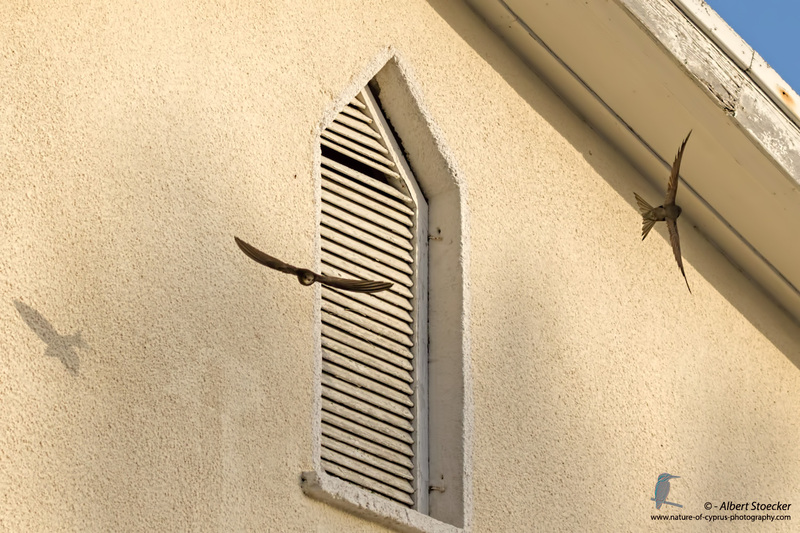 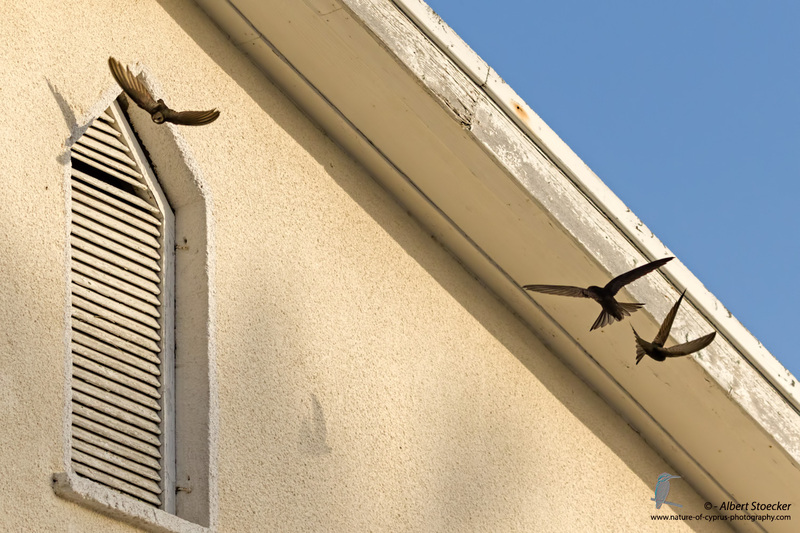 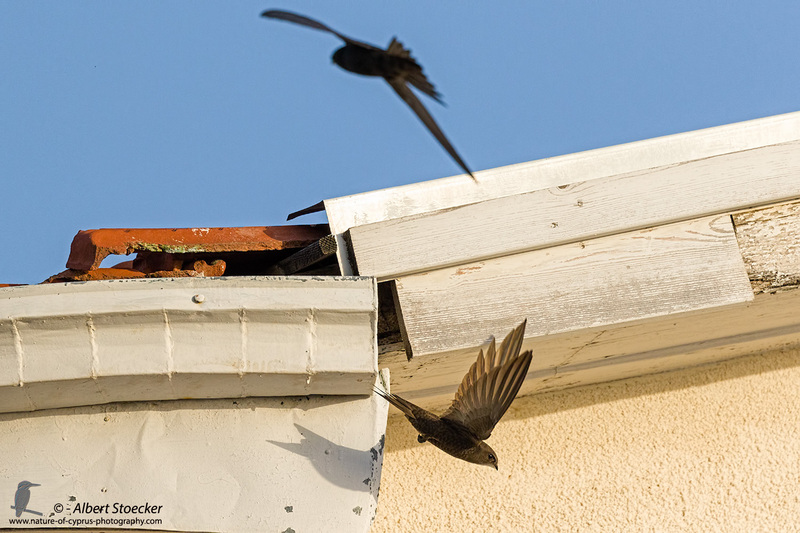 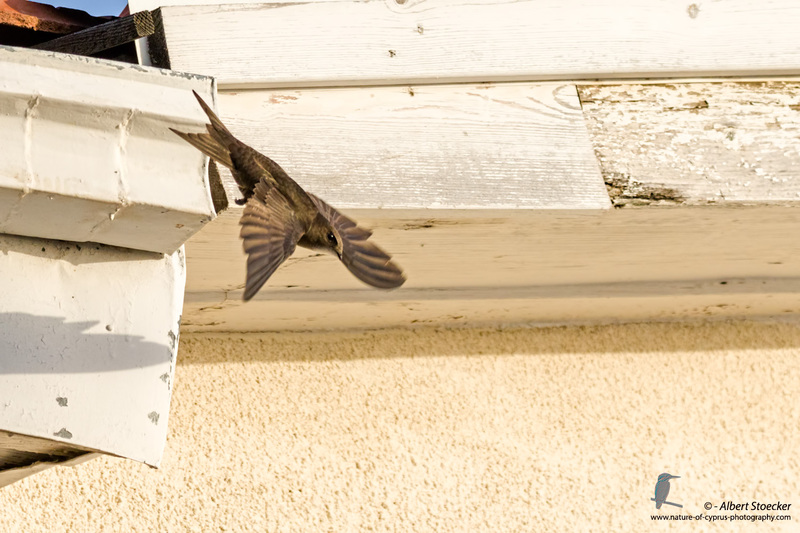 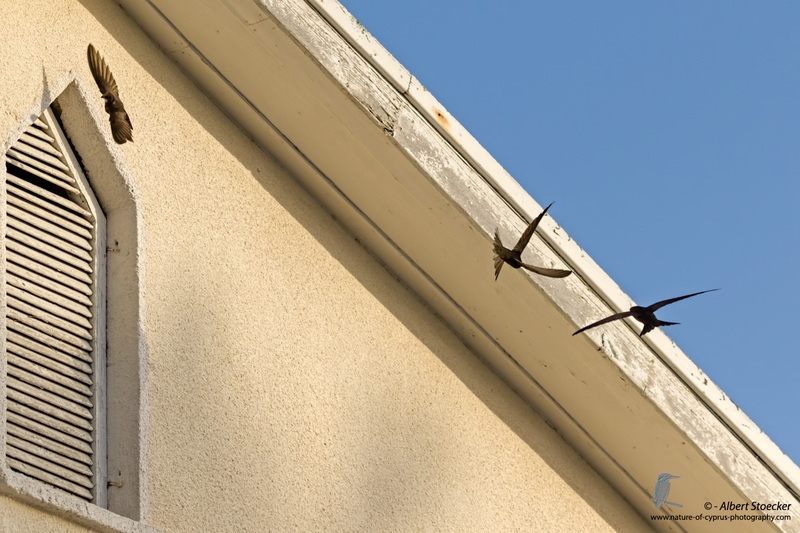 BirdLife Cyprus has launched a project for the protection and assistance for the swallows, because here in Cyprus more nesting sites lost through demolition or renovation of old buildings. 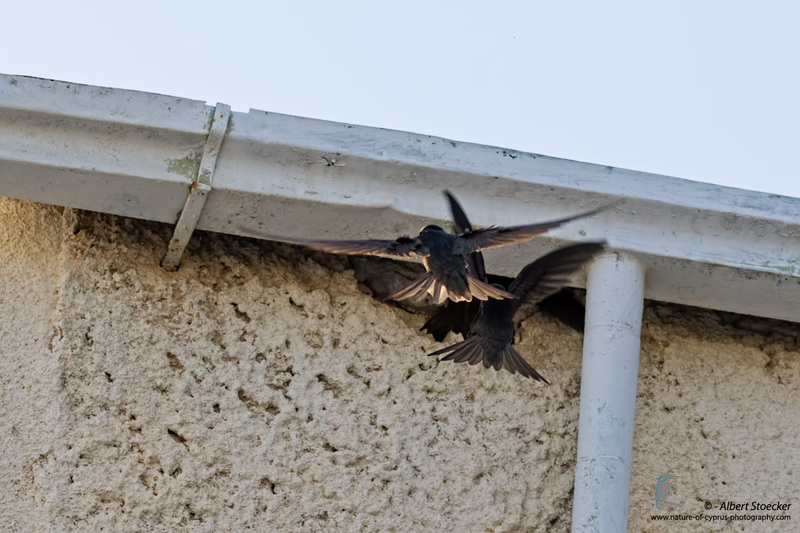 To support the project I started also a documentary, which I will continue in the next few weeks. 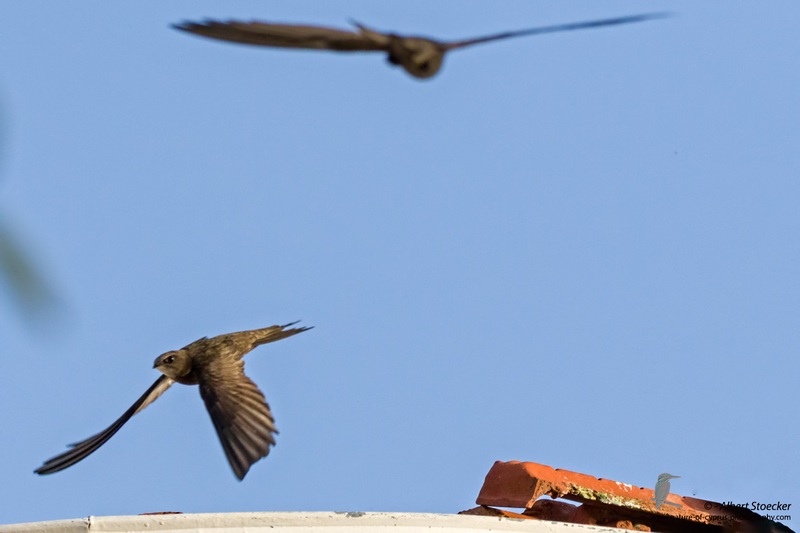 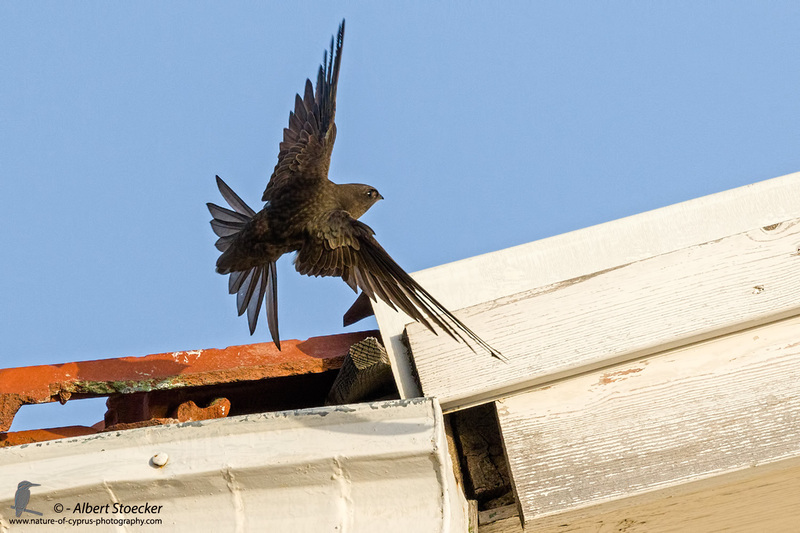 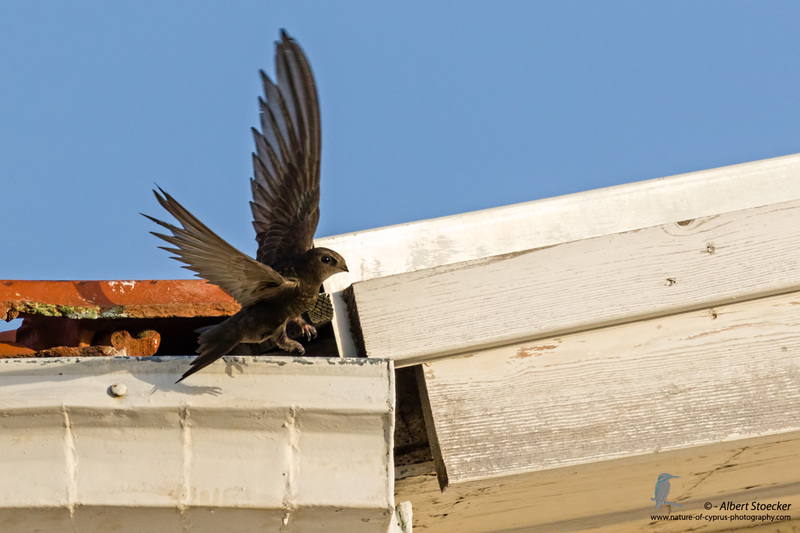 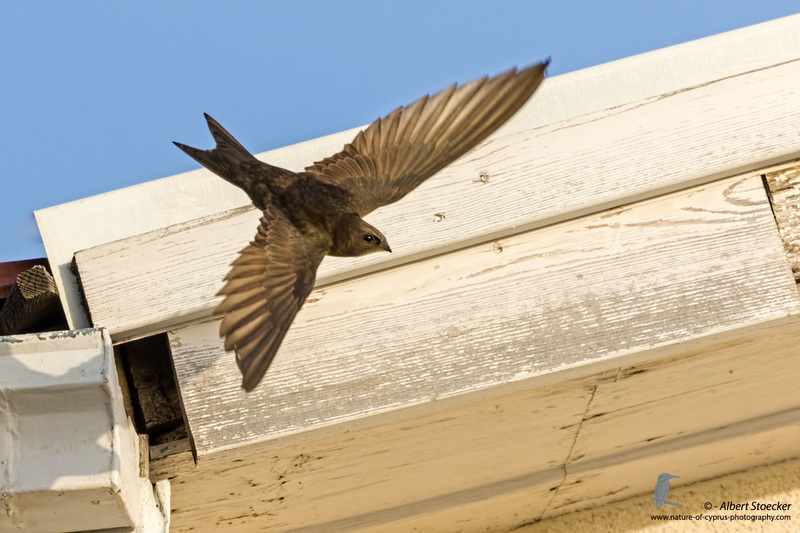 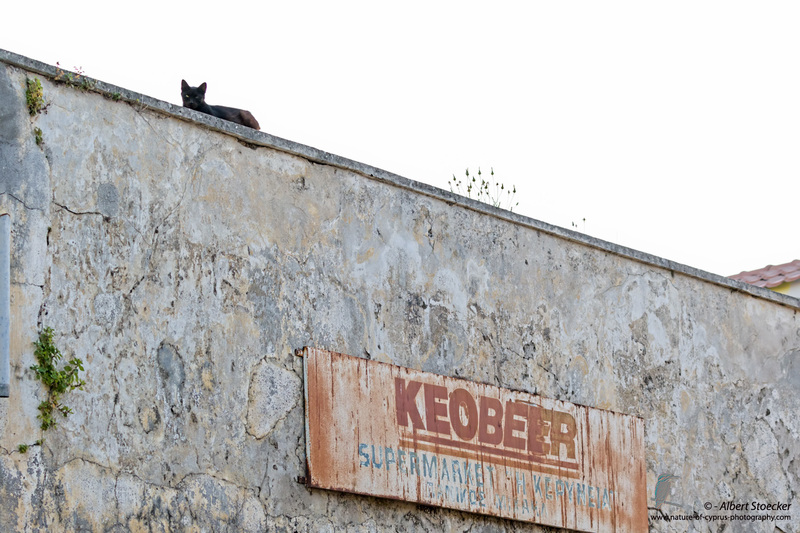 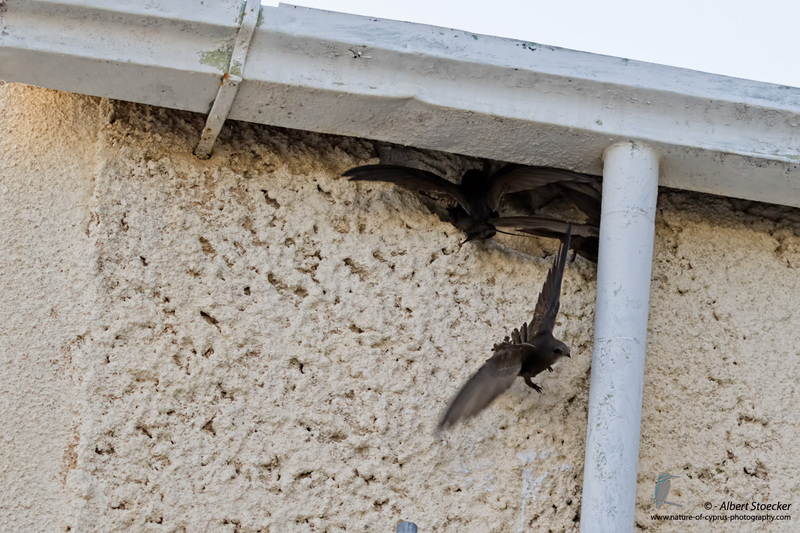 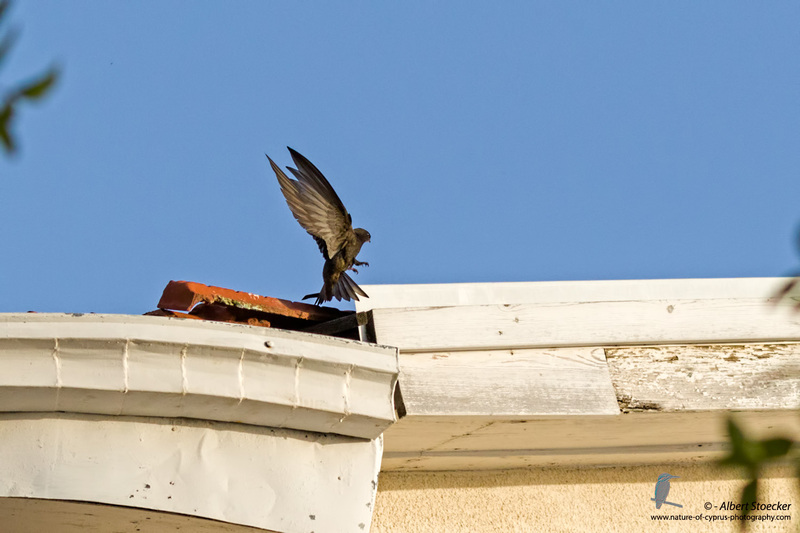 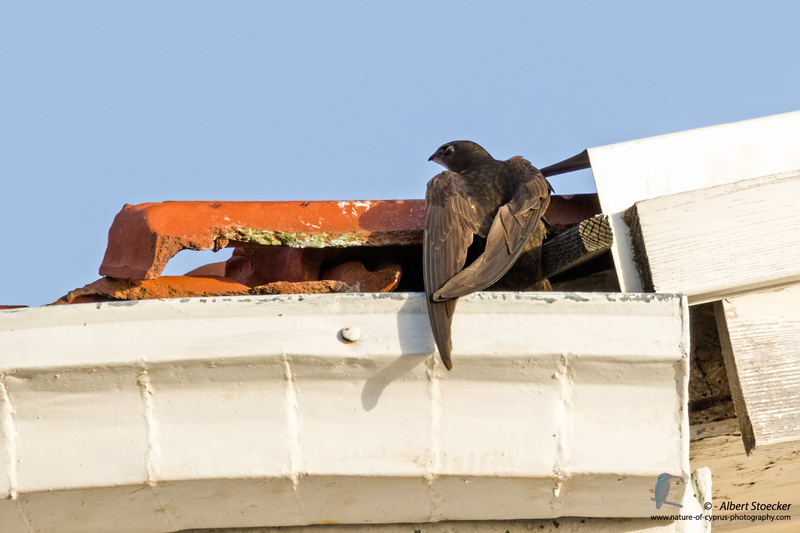 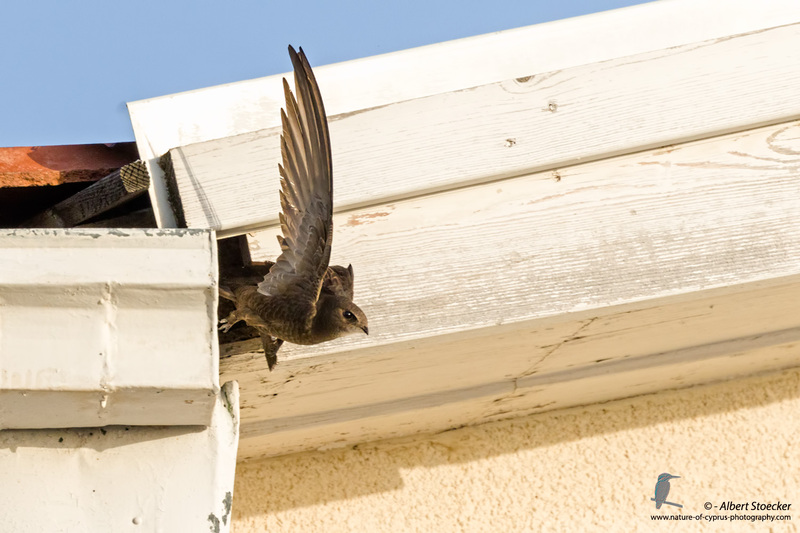 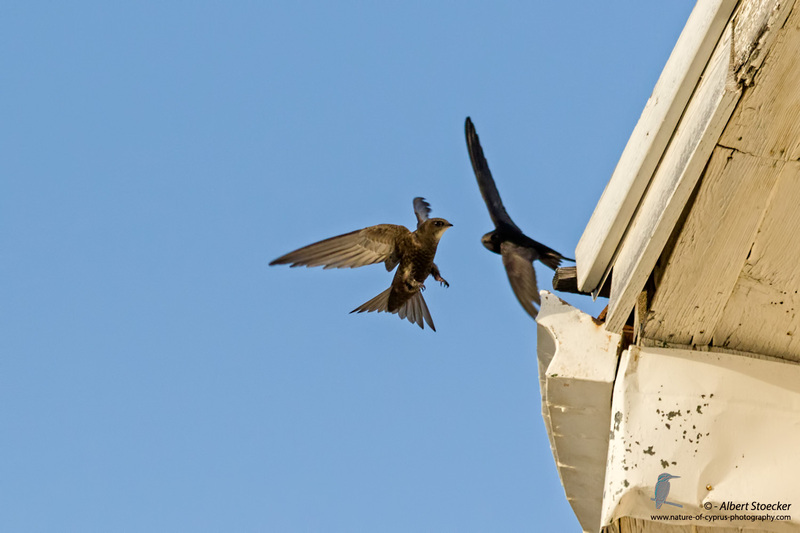 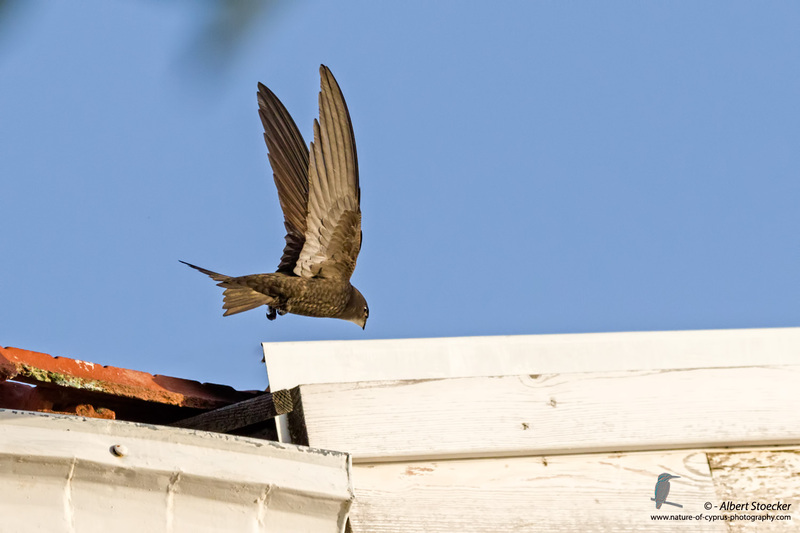 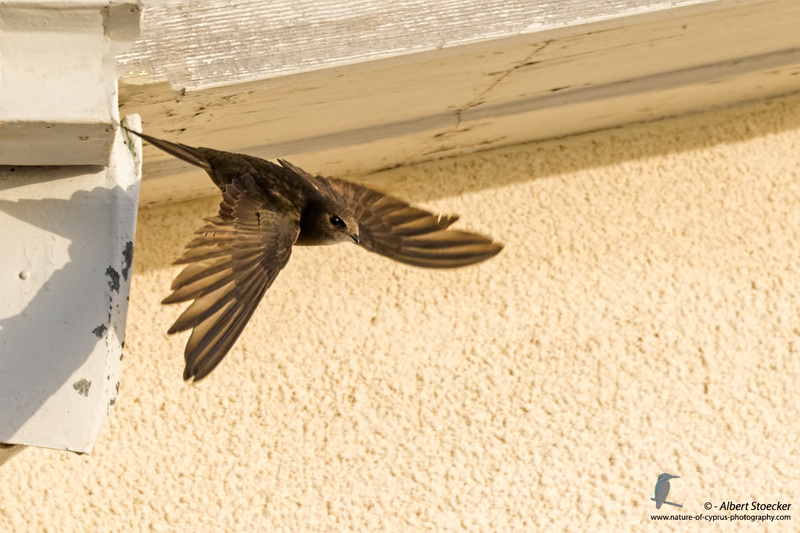 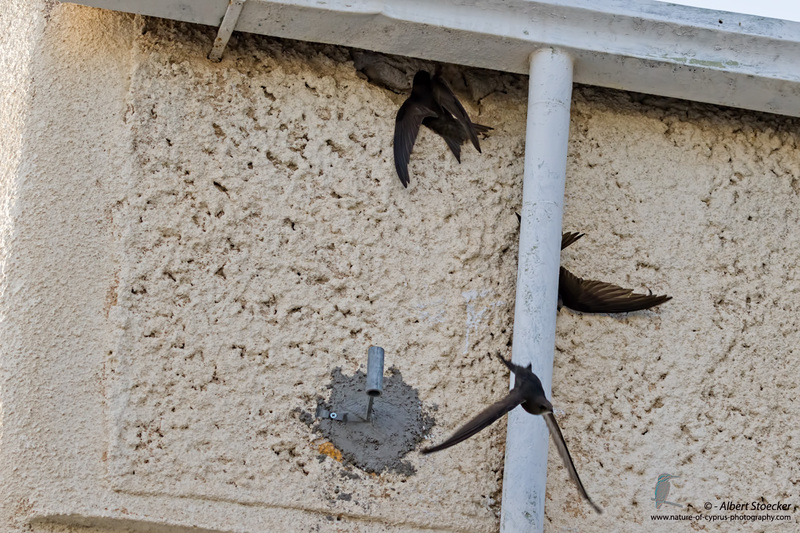 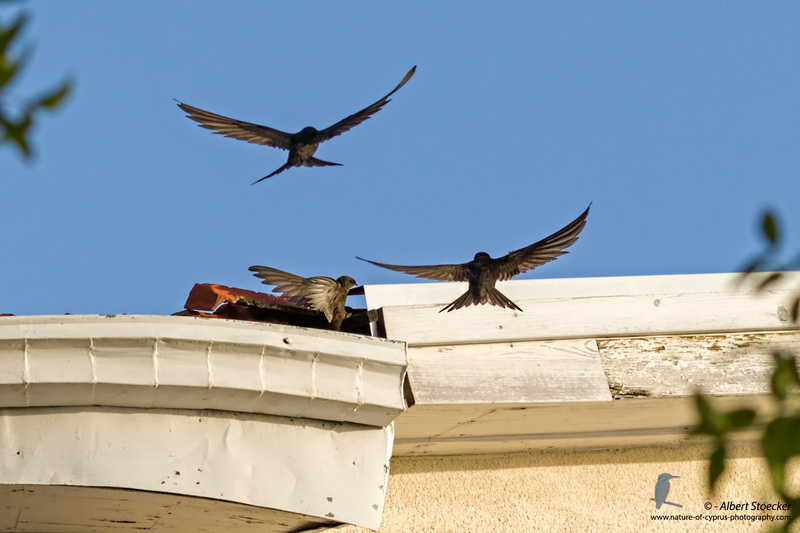 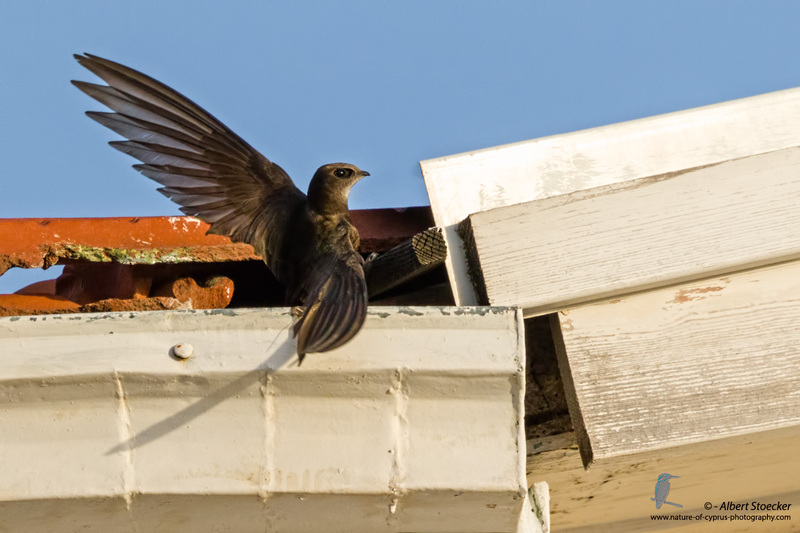 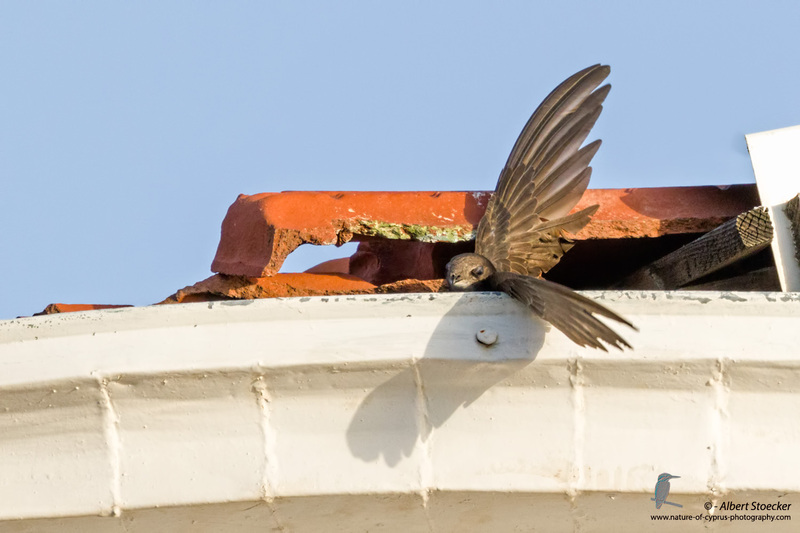 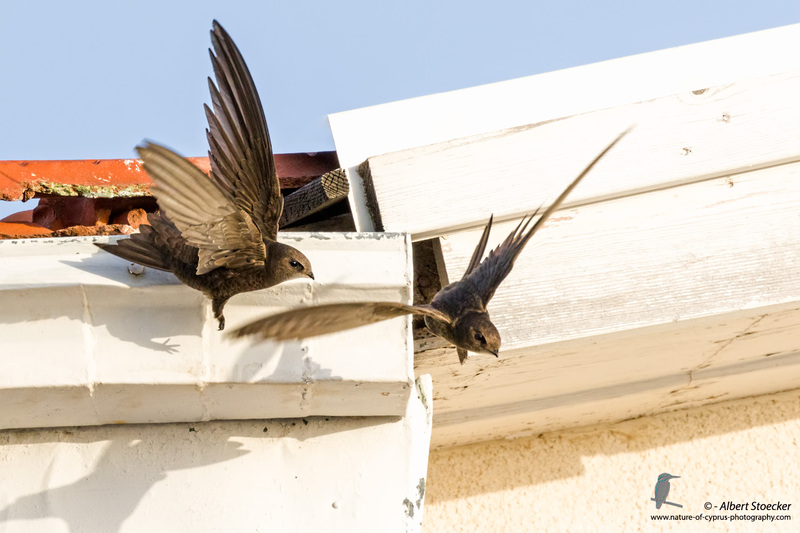 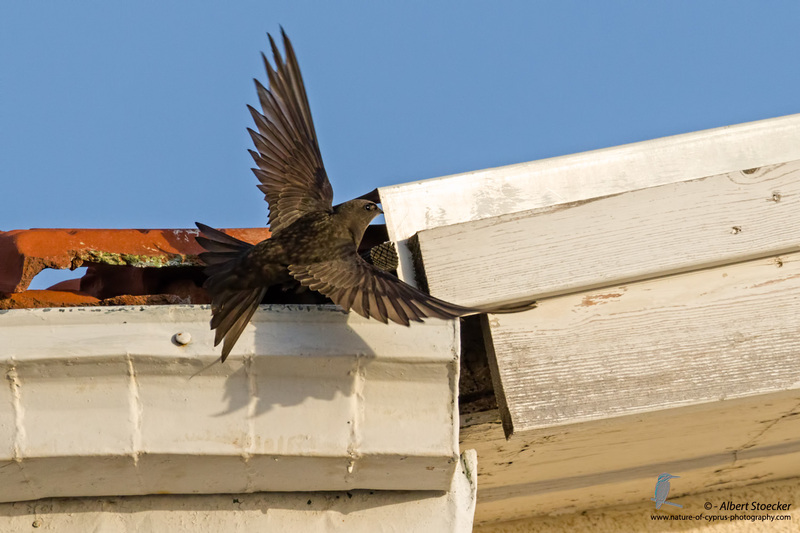 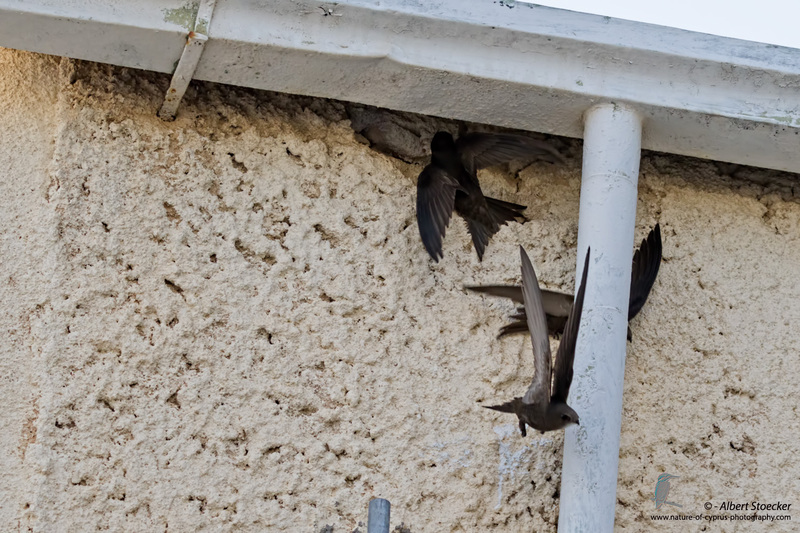 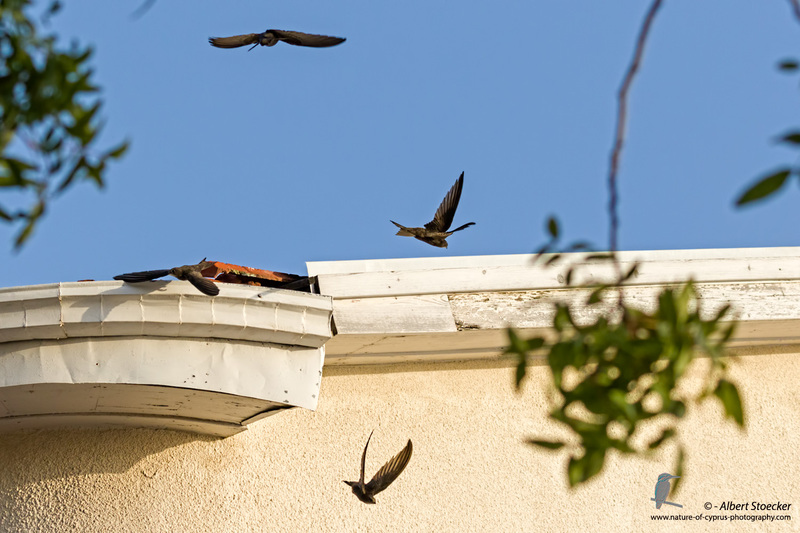 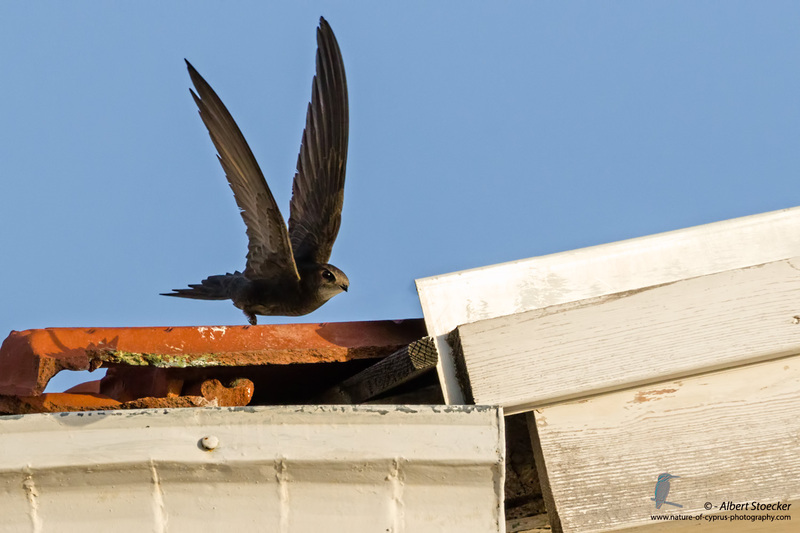 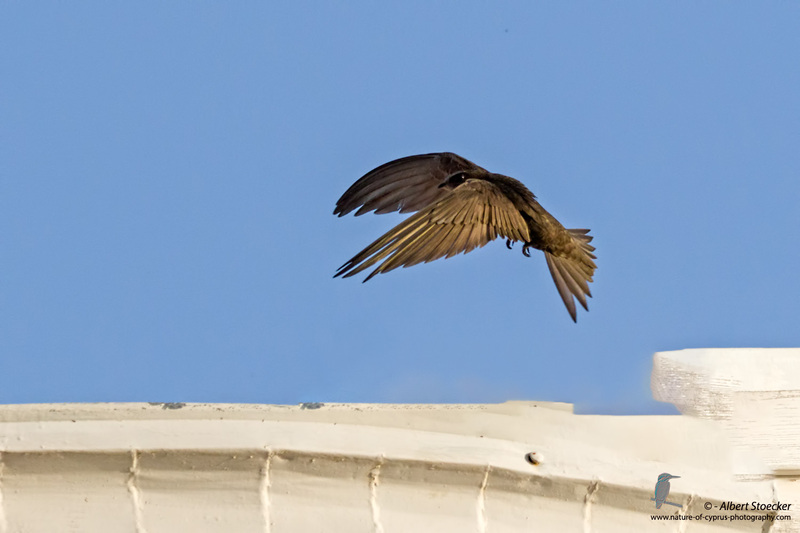 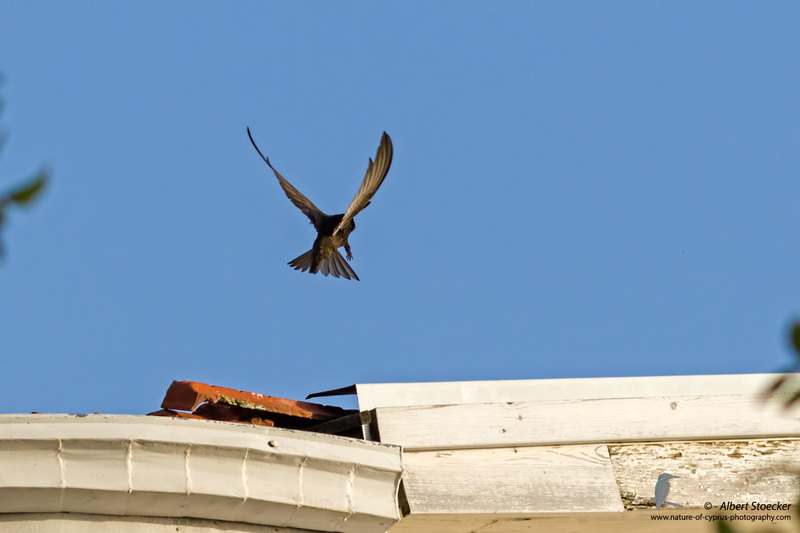 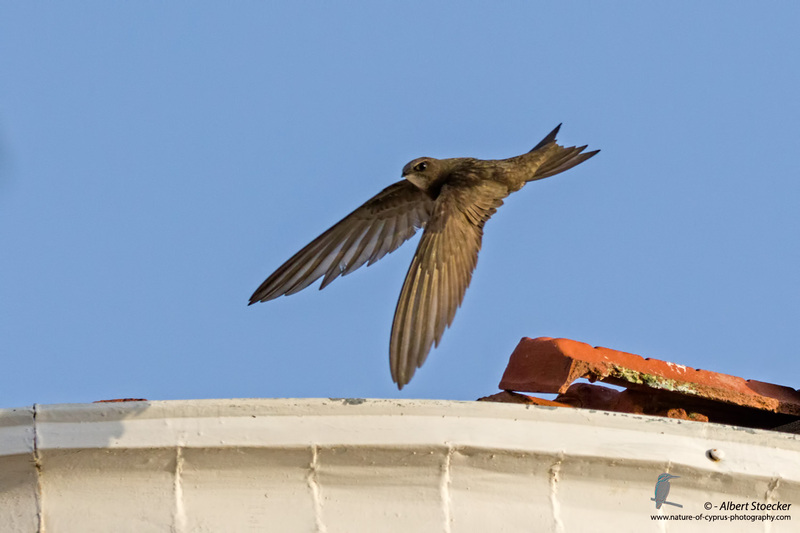 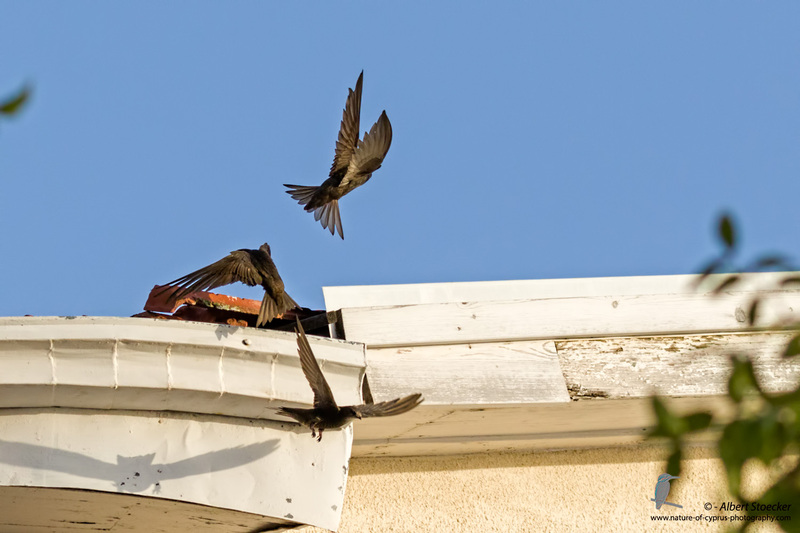 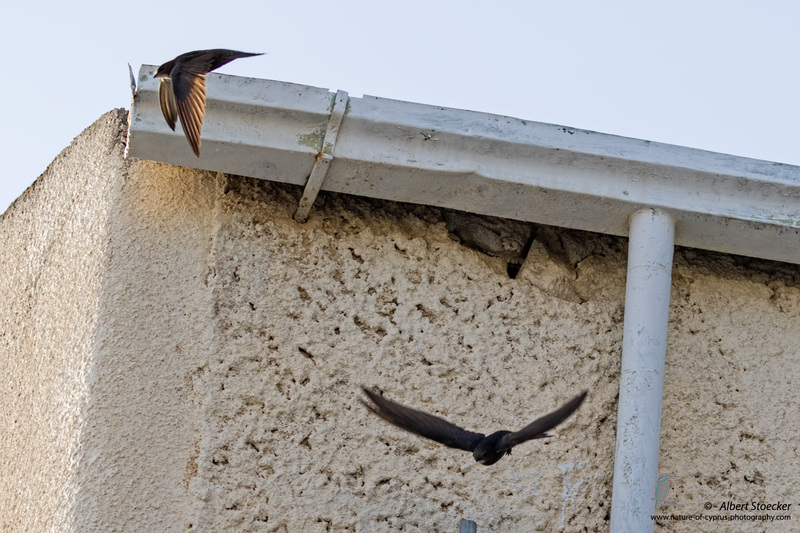 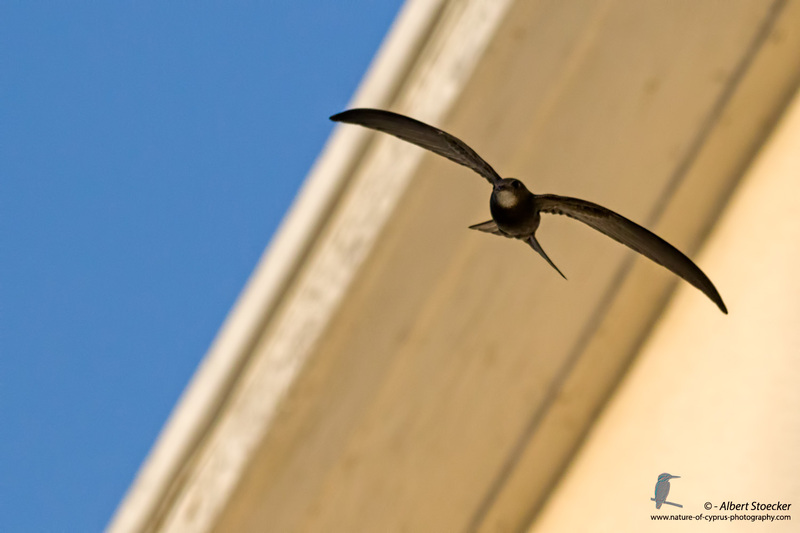 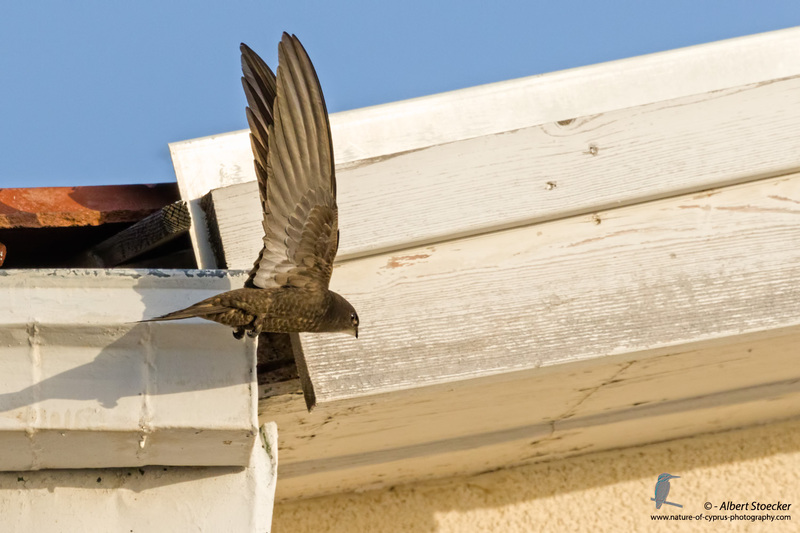 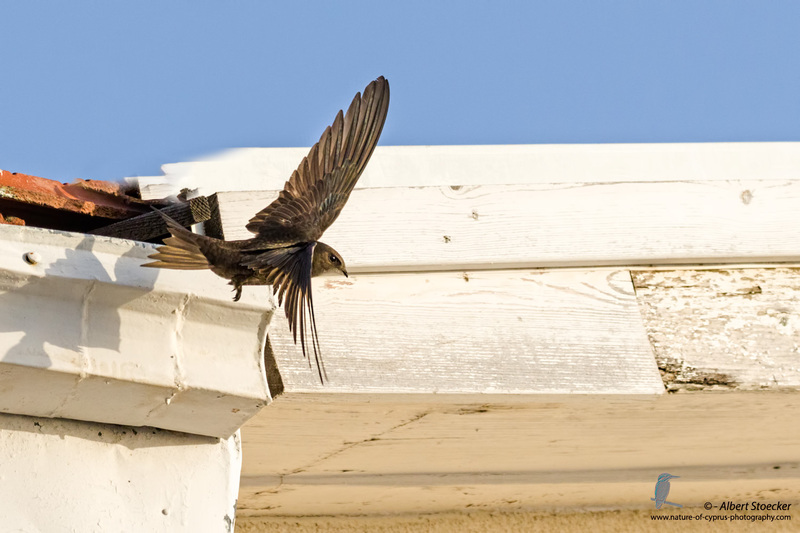 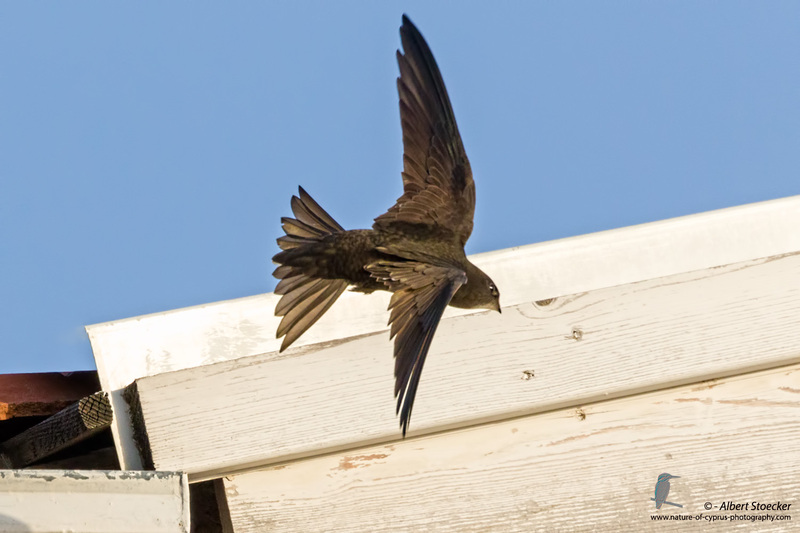 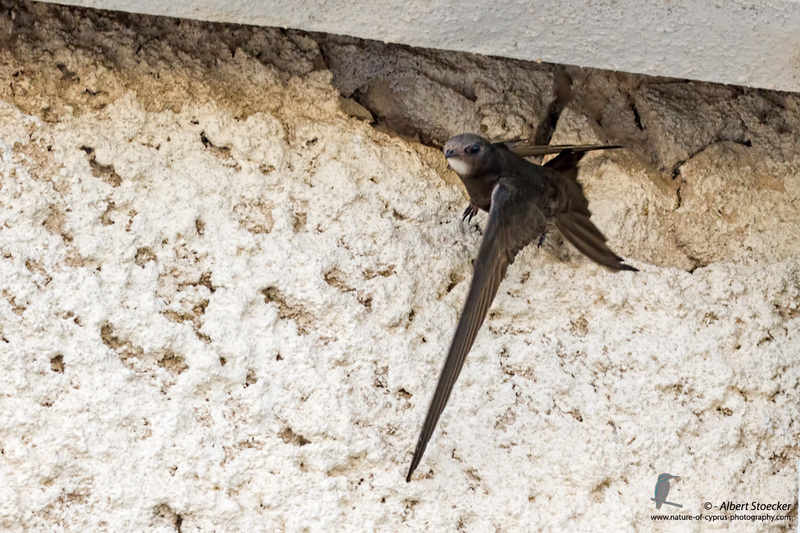 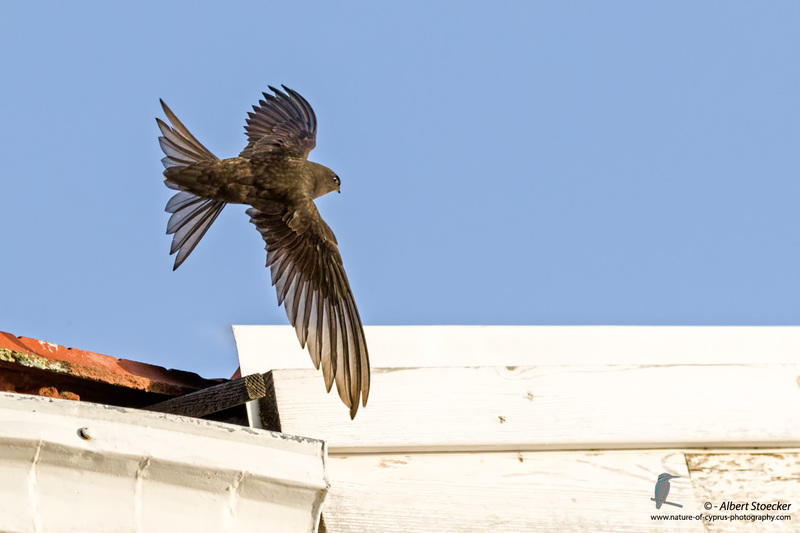 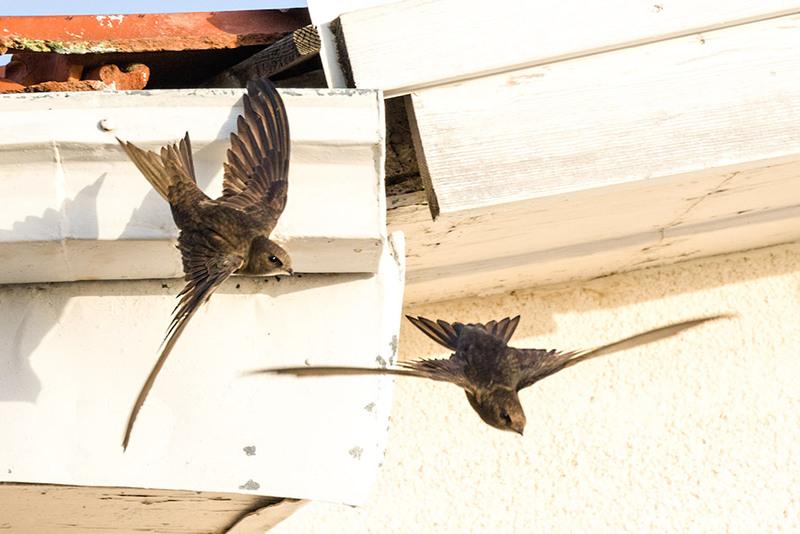 In Cyprus the Swifts breeding especially in old urban areas which become accustomed to people. 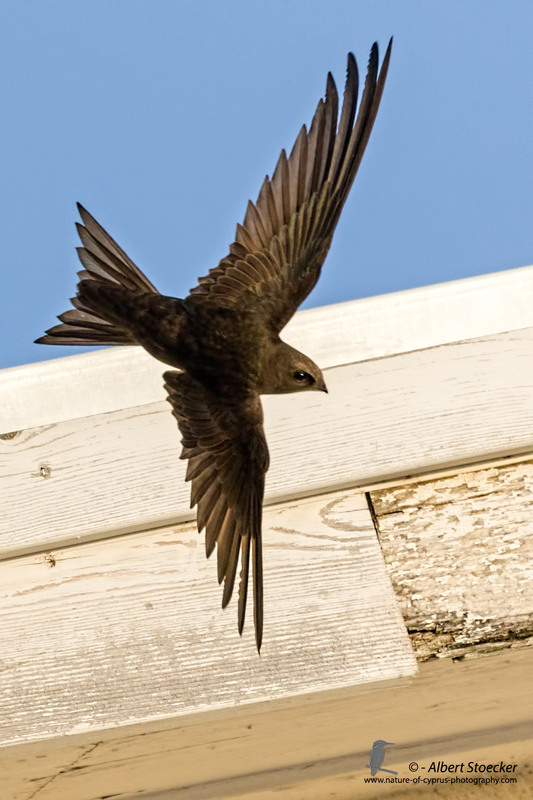 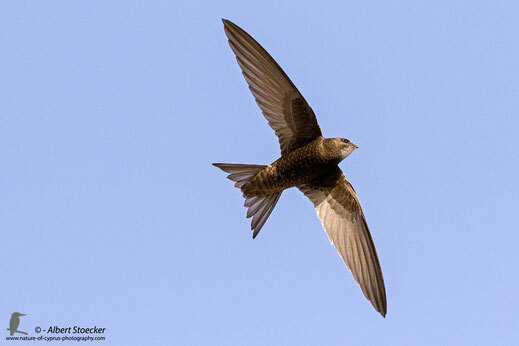 Colin Richardson, give me the Info that the common Swift here in Paphos especially in the districts of Kato Paphos and Moutthalos. 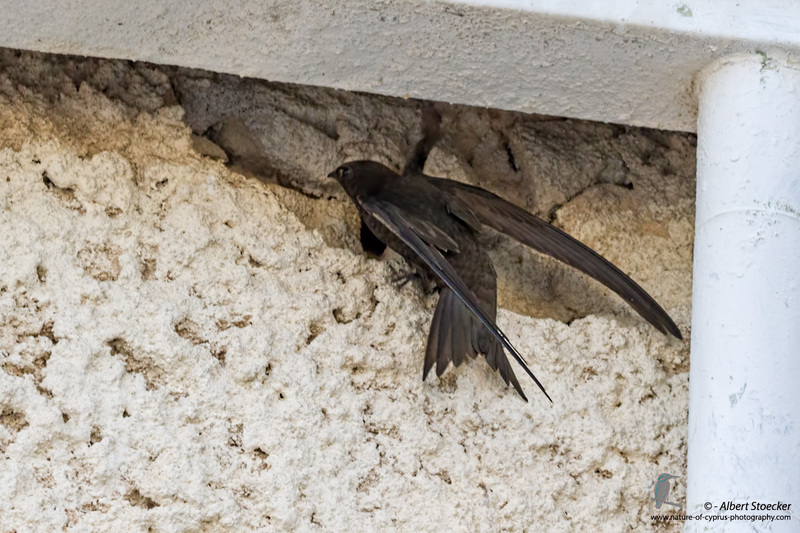 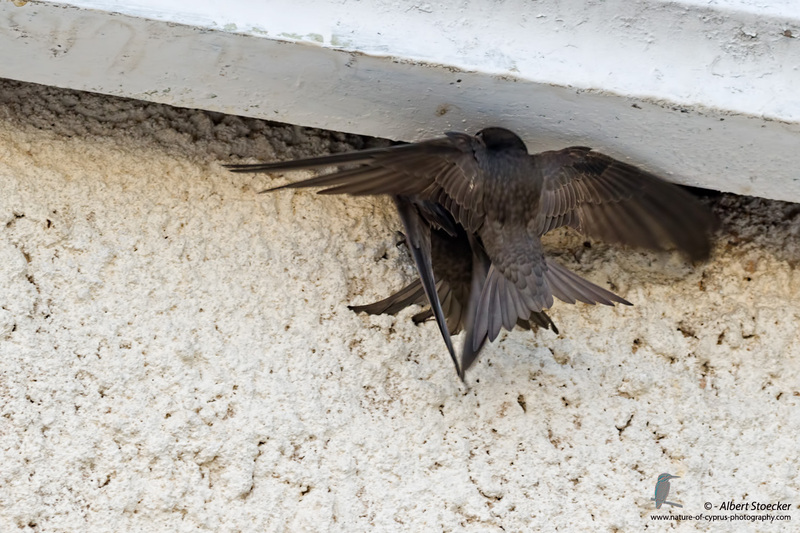 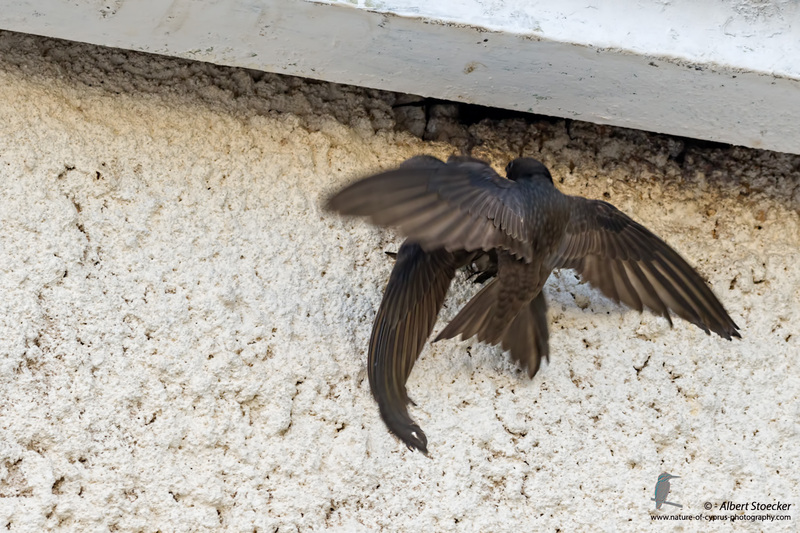 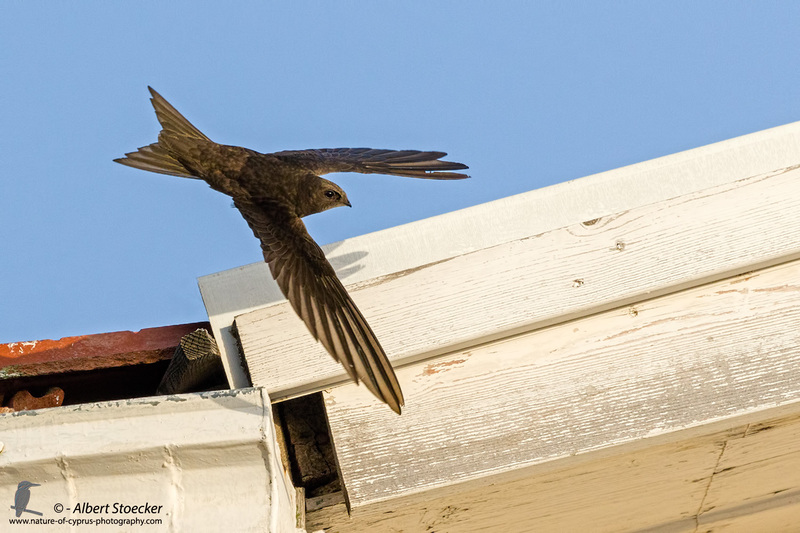 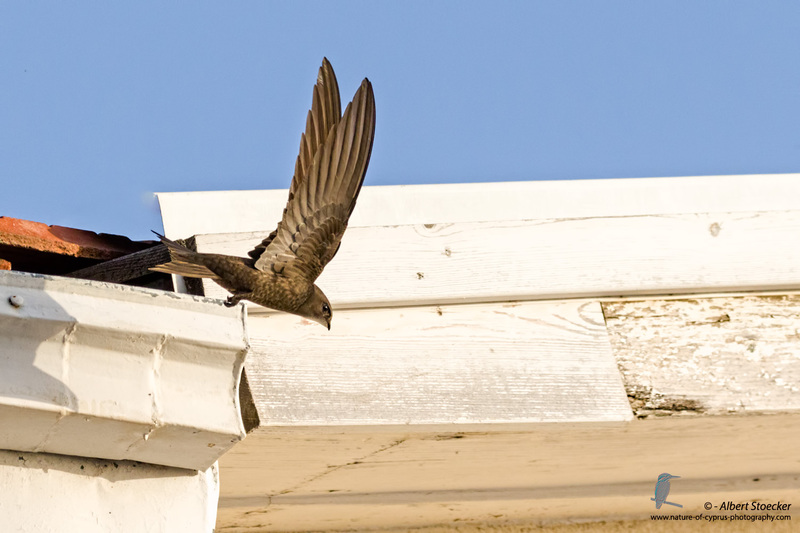 Swifts nest almost exclusively in cavities in buildings, where each breeding pair refers to an own cave. 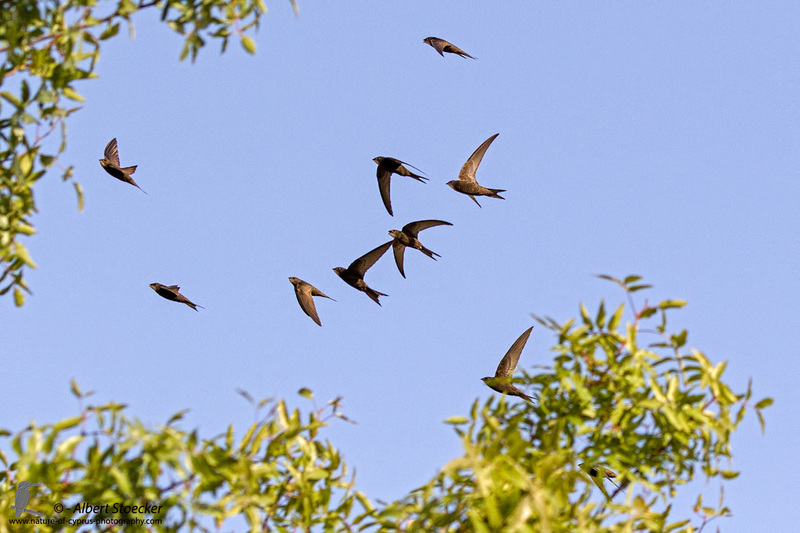 At the moment the birds come together early in the morning in groups and against 9: 00 with increasing temperature it distorts them to higher altitudes. 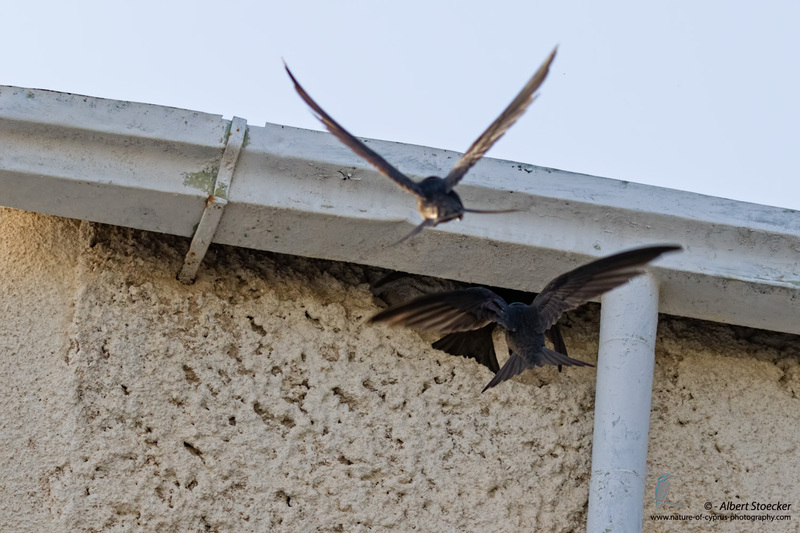 I think this has also to do with that the breeding business currently has not yet begun. 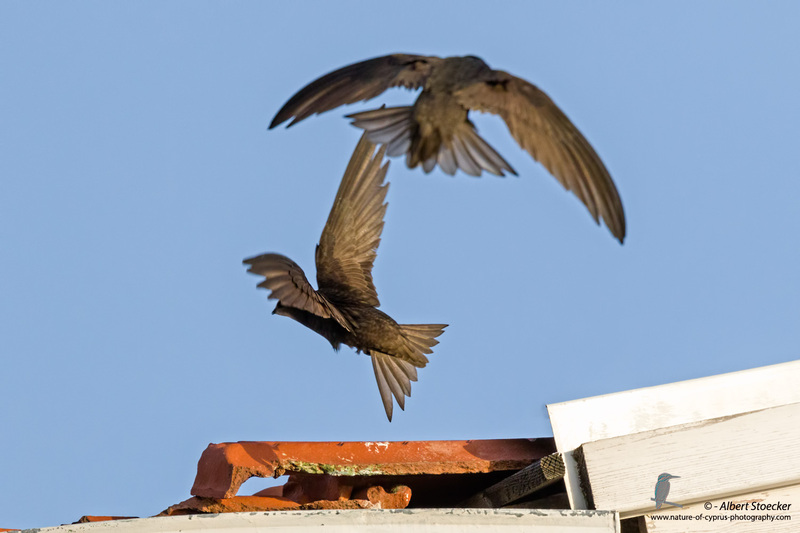 Around 17:30 I've seen to yesterday no Swifts around 18:00, the air was full of them and they flew in groups up to 10 birds in a wild manner through the streets and over the houses. 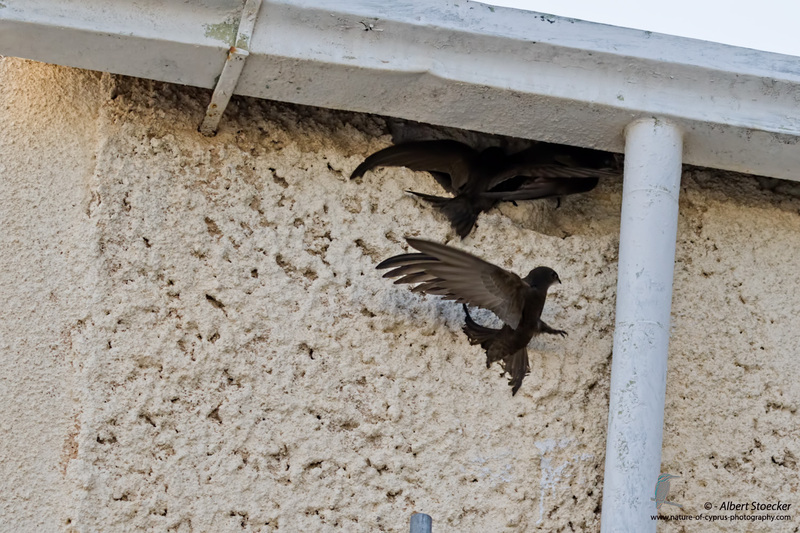 According to my observation, the entrance of the breeding caves was then flown by females, males followed immediately, and it often came to the Coppola, with large crowds. 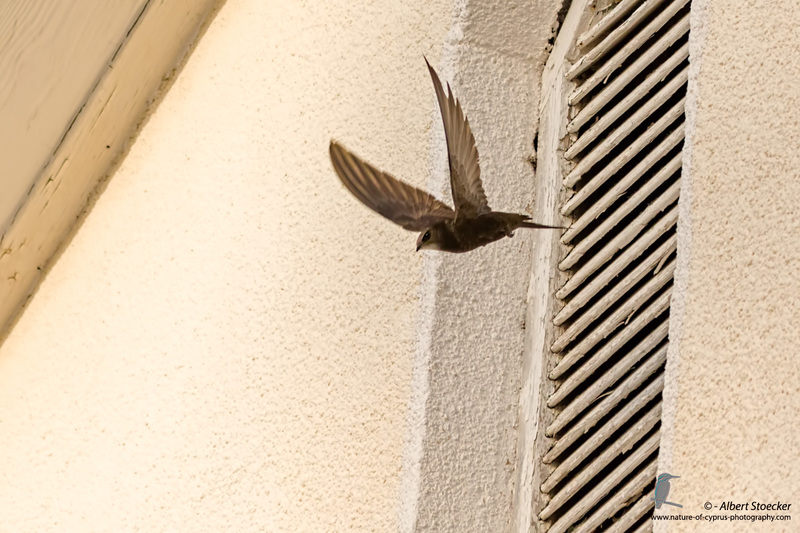 Partially continued the Coppola still in the air. 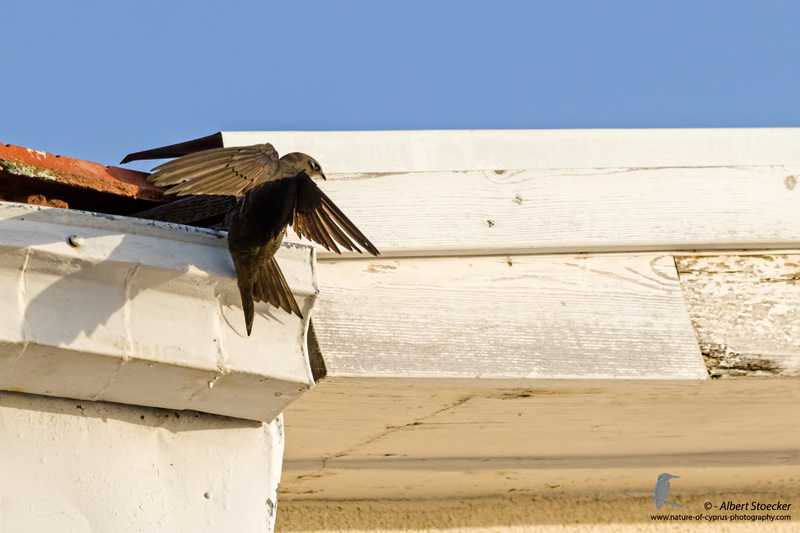 With the sunset, the scene calmed down. 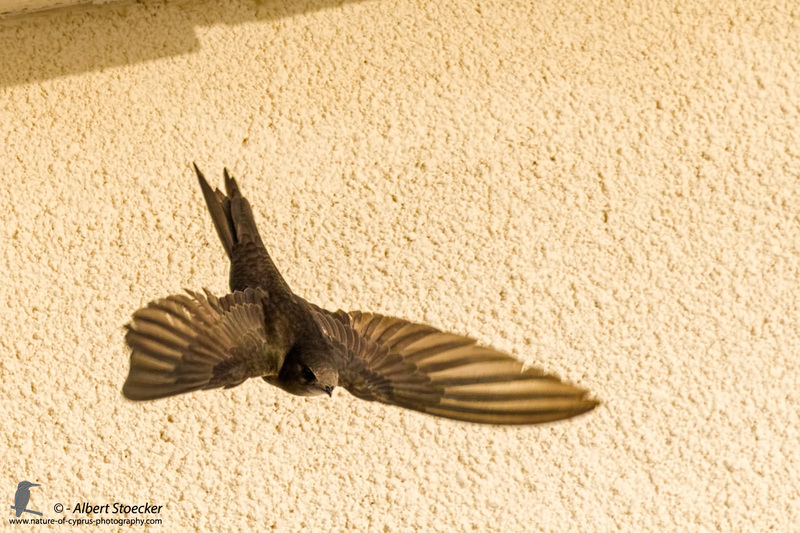 Here I show you the first photos i made the last Days.